A vitamin and mineral formulation specifically formulated with 18 essential nutrients to support children’s healthy growth and development. As children grow, they often go through periods of being fussy eaters, making it difficult to ensure that they are getting the nutrients they need to support healthy growth and development. How it works A 2008 review of eating behaviour in children concluded that many children do not consume the recommended amount of fruit and vegetables and therefore are not getting sufficient micronutrients and fibre essential for normal, healthy development. Fussy eaters in particular consume fewer amounts of foods containing vitamin E, vitamin C, folate and fibre, probably due to their lower consumption of fruits and vegetables, and may be at risk of essential nutrient deficiency. The B group vitamins play an essential role in the metabolic processes of all living cells by serving as coenzymes in the metabolism of carbohydrates, proteins and fats to produce energy. Many of the B vitamins are required by the body to release energy from food. Vitamin C is an essential nutrient for humans, as we are one of the few animals that cannot make our own . It assists in the absorption of iron, and has many other functions in the body. Vitamin D - Adequate levels of vitamin D throughout life are important for building and maintaining healthy bones. Iodine is important for the normal functioning of the thyroid gland. Iodine deficiency may affect up to 76% of Australian children. Lowered iodine levels may impair cognitive development and IQ. Zinc has many functions in the body. 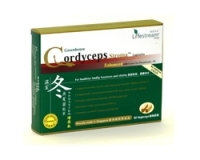 It is involved in many aspects of the immune system and helps support immune function. Along with vitamin D it is necessary to support children’s bone health. Zinc may also play an important role in children’s cognitive function, as well as helping to support concentration and mental performance. Children 2-6 years - Chew (do not swallow whole) 1 tablet a day with a meal, or as professionally prescribed. 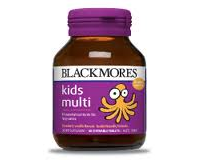 Children 7-12 years - Chew (do not swallow whole) 2 tablets a day with a meal, or as professionally prescribed.